Now is a great time to buy a new car, with no shortage of manufacturers announcing scrappage deals. New car buyers have potential to save thousands from a whole host of manufacturers, with Mitsubishi the latest brand to announce a scrappage offer. 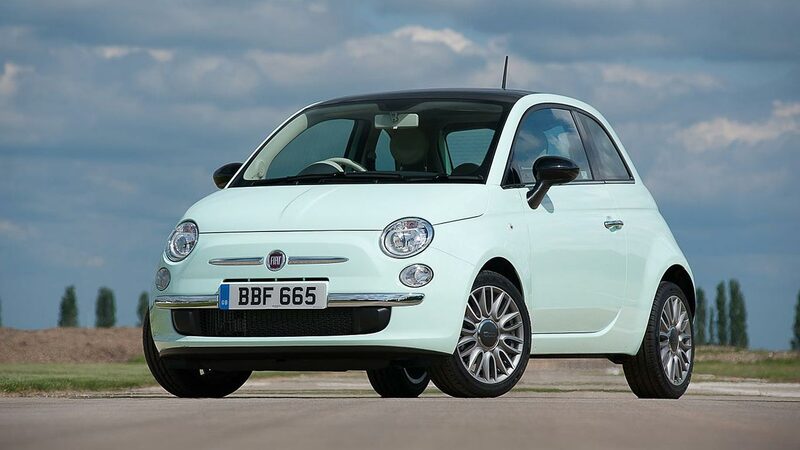 We’ve outlined the current deals available for UK car buyers. We’ll be keeping this updated – check back to see if any other car manufacturers have announced similar offers. What is a scrappage scheme? 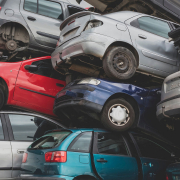 A scrappage scheme is a way to encourage motorists to part exchange their old, polluting vehicles for new, eco-friendly models. The UK government ran an official scrappage scheme from April 2009 to to March 2010. Anyone trading their old car (10 years or older and with their name on the V5 for 12 months or more) would be given a guaranteed £2,000 towards a new model (£1,000 from the government and £1,000 from the manufacturer of the new car). The scheme proved controversial amongst environmental groups and classic car enthusiasts, as it dictated all cars traded in through the scheme must be scrapped – even if they were in road-legal condition. In total, more than 390,000 vehicles were scrapped as part of the scheme. Although the government hasn’t announced any plans to bring back an official scrappage scheme, a number of car manufacturers are introducing similar schemes as concerns around air pollution continue to rise. VW Group has extended its scrappage offers across its brands. The Audi deal is open to pre-2010 diesels, as long as you’ve owned the trade-in for at least six months and order before the end of December 2017. The only Audi models which aren’t included in the offer are hot RS models, as well as the A8, R8 and diesel Q7s. A massive £8,000 has been slashed off the Q7 e-tron, while A7 and A6 buyers can enjoy a £7,000 discount. The A3 e-tron can be had with £5,000 off plus the government’s £2,500 low emissions grant, while the affordable A1 qualifies for £2,800 off. BMW’s ‘Lower Emissions Allowance’ is available on any pre-Euro 5 diesel vehicles when you buy a new BMW or Mini emitting 130g/km CO2 or less. This means scrappage deals are available on more models than you might think – 80 percent of new BMWs emit less than 130g/km CO2, as do 70 percent of new Minis. BMW will give customers £2,000 off any car eligible for the scheme, on top of a “suitable average price” for their trade-in. The offer is open until 31 December 2017, and the car must have been registered in your name for at least 12 months. Trade your pre-2011 car in for a new Citroen before the end of 2017 and you’ll qualify for a scrappage allowance of up to £6,400. The biggest discount is available on the C3 Picasso, while the Grand C4 Picasso comes with £4,700 off. The popular C4 Cactus comes with a £3,900 saving (Touch trim level aside), while the C1 and C3 both offer a £1,750 discount. All cars traded in through the scheme must have been registered in the customer’s name for at least 90 days and will be scrapped. Renault’s budget brand Dacia is offering up to £1,000 off its Duster alongside existing deposit contributions (of up to £1,250). The full £1,000 is available on Laureate, Prestige and SE Summit trim levels, while the Ambiance is eligible for a £500 discount. The deal is open to new Dusters ordered before the end of December and registered before the end of January. All trade-ins must have been in the customer’s name for at least 90 days, and be a Euro 4 or older model registered before the end of 2009. Dacia has confirmed that all cars traded in through the scheme will be scrapped. Citroen’s upmarket brand DS has also announced a scrappage scheme, similar to Citroen’s. The smallest discount of £3,500 applies to the DS3 (excluding hot models), while the DS3 Cabrio qualifies for a £4,500 discount. The DS4 and DS4 Crossback come with £5,000 off, while DS5 buyers are entitled to £5,500 for their old car. Like Citroen, DS buyers must collect their car by the end of the year, and must have owned their trade-in for at least 90 days. 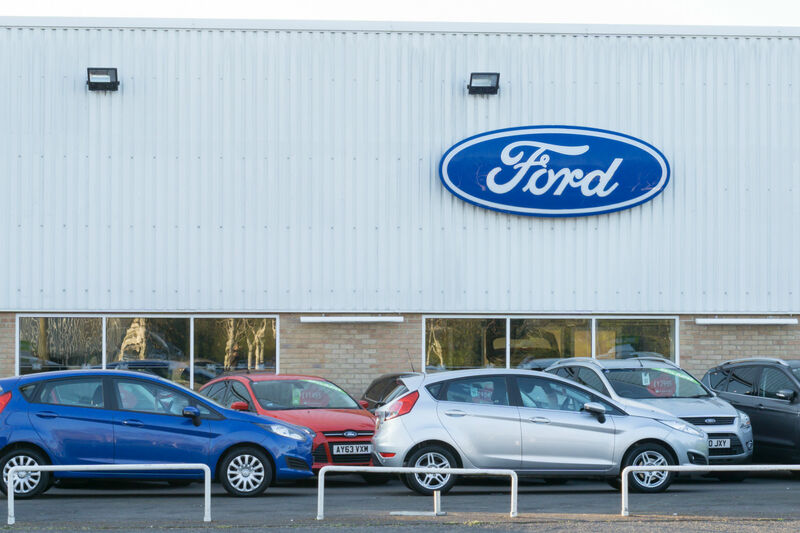 Ford’s scrappage deals differ from those offered by other car manufacturers because they are available on any new car within its range. While others are encouraging buyers to look at the most efficient vehicles, Ford is happy to give you £2,000 off any new model, along with any current offers available in its line-up. With £5,000 already available off a new Transit, along with £2,950 off a Focus and £2,000 off a Kuga, you could save up to £7,000 on a new Ford as part of the scrappage scheme. To qualify for the Ford scrappage deals, your trade-in must be rated Euro 4 or older for exhaust emissions (that’s most cars registered before the end of 2009), with a V5 in your name for at least 90 days. Hyundai’s new scrappage scheme will be running from now until the end of 2017. The biggest saving is towards the Santa Fe, which has £5,000 slashed off its retail price when you chop in a clunker. While this sounds impressive, bear in mind that Hyundai has recently been offering £5,000 towards any Santa Fe bought on finance – so it’s not the huge eco-minded saving you might think. And no, you can’t combine the scrappage scheme offer with the deposit contributions already on offer. Cheaper models have smaller discounts… £3,500 off the Tucson, £4,000 off the i30, £3,000 of the i40 and £2,000 off the Ioniq hybrid, i20 and ix20. 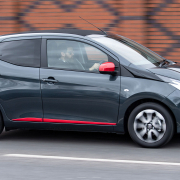 The i10 city car gets a £1,500 saving. Euro 1 – 3 trade-ins will be scrapped, while Euro 4 models will be resold. 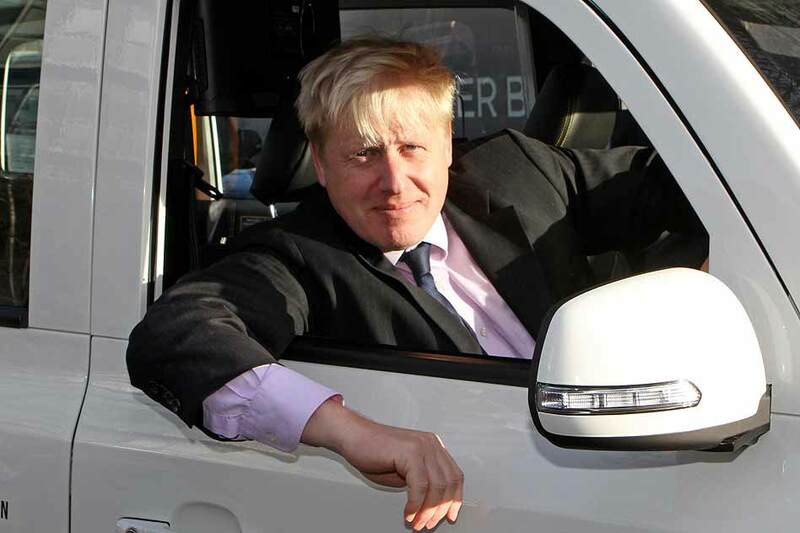 Owners of Euro 4 cars will be given a fair trade-in price on top of the scrappage saving. Kia is keeping things simple with its scrappage scheme. Trade in any car over seven years old, and get a £2,000 discount on a new Picanto or Rio. All cars traded in will be scrapped – and you don’t even need to have owned it for a certain period of time. 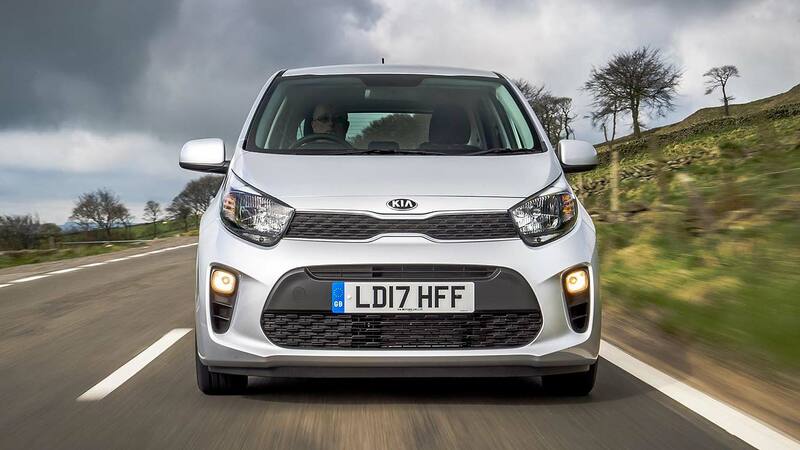 Before you rush out to buy a banger to trade in for £2,000, bear in mind that Kia already offers some tempting deposit contributions on its cars bought on finance, so it might not be the huge saving you think. The offer runs until the end of December 2017. Lexus has introduced a scrappage scheme, designed to get customers behind the wheel of its hybrid models. Purchasers of a CT or IS qualify for a £3,500 discount, while £4,000 is available on NX or RX models. The scrappage discount is not restricted to a finance package and is available on any petrol or diesel car registered before the end of 2009. While some manufacturers seem to be forgetting the green element of scrappage, Mazda is pushing its low CO2 models with its scrappage scheme. Discounts are available on all its sub-130g/km CO2 cars, with discounts of up to £5,000 available on the Mazda3 and Mazda6. It’s open to all cars – petrol and diesel – registered before the end of 2009. Mercedes is offering up to £7,000 ‘Changeover bonus’ off a new car when you trade in a Euro 1 to Euro 2 rated diesel car by 31st December 2017. The discounts can be summarised as follows: A-Class £3,000; GLA and CLA Coupe £3,500; CLA Shooting Brake and C-Class Coupe £4,000; B-Class £4,500; C-Class Cabriolet £5,500; E-Class Saloon and Estate £6,000; C-Class Saloon and Estate £7,000. MG is keeping things simple with its scrappage scheme, which has been running for a year now. Trade in any old car for a new MG3 and you’ll get a minimum of £1,500 towards your new car. There’s no set requirements: it’s open to any petrol or diesel vehicle, and MG will “responsibly dispose” your old car. “Other manufacturers have rushed out complicated offers, restricted to certain models and with lots of caveats. 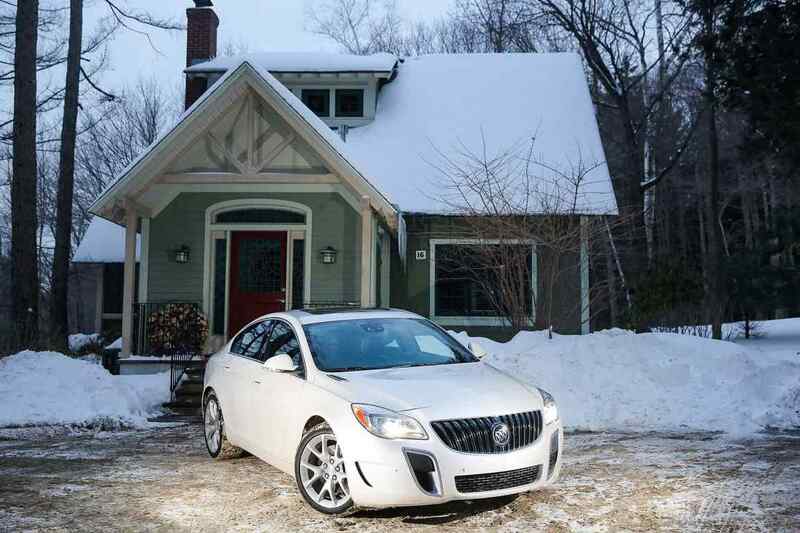 We don’t,” said MG’s head of sales and marketing, Matthew Cheyne. “We give everyone straightforward consumer offers like 0% finance across the range over 5 years or £1,500 minimum part exchange. Mitsubishi’s plug-in hybrid Outlander has proved to be a hit with families wanting to ‘go green’ without compromising on practicality or usability. It’s eligible for a £2,500 government incentive, and now Mitsubishi’s adding to that with a £4,000 saving when you trade in your old car. You can save £3,500 off an Outlander diesel, meanwhile, while the ASX crossover and Mirage city car are eligible for £3,000 and £2,000 saving respectively. There aren’t any strict requirements on your part exchange: it simply needs to be a Euro 1 to 4 model, registered before the end of 2009 and in your name for at least six months. The offer’s open until the end of the year and Mitsubishi has said all cars traded in through the scheme will be scrapped. 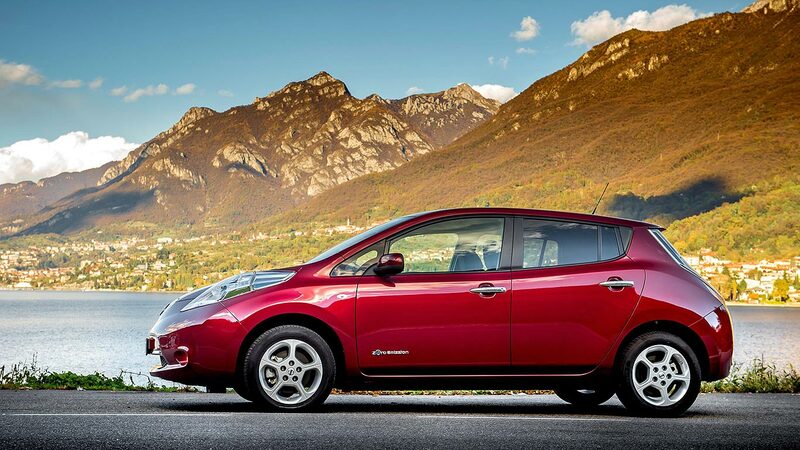 Nissan has taken a different approach to other manufacturers: it’s offering £1,000 off a secondhand Nissan Leaf electric car, in addition to an existing £1,000 incentive and the usual part-exchange value of the car being traded in. On new cars, the discount depends on the grade, with £2,000 available off Tekna and Tekna+ models across the range. This is plus existing retail offers, meaning buyers can enjoy up to £5,000 off an X-Trail and £4,500 off a Juke or Qashqai. Again, this is on top of the part-exchange value of the car being chopped in. The offer is open to all customers with pre-Euro 5 petrol and diesel models, but be quick: the offer only runs until the end of September. Interestingly, Nissan has said it won’t be scrapping cars traded in through the scheme. Peugeot is offering a similar deal to other PSA brands, with up to £6,000 available when customers scrap their pre-2011 petrol or diesel car. That’s for the 508 saloon, while diesel versions of the new 308 come with a £3,750 allowance. The 308 petrol, 2008 and 208 all come with a £2,750 discount. French firm Renault is offering £2,000 discounts across the range on top of existing deals. That means customers can save a total of £7,000 off a Master van, £6,200 off a Kadjar, £4,500 off a Captur, £4,250 off a Clio, and £4,000 off a Megane, Scenic or Grand Scenic. All vehicles traded in through the scheme will be scrapped, and they must have been registered before December 31st 2009. They must have been registered in the customer’s name for at least 90 days. The Renault Koleos is excluded from the scheme as is the Twingo and, curiously, the electric Zoe. The firm is already offering a £5,000 incentive on the Zoe, it says. Like other VW Group brands, Seat’s scrappage scheme is open to all pre-Euro 5 diesels that have been registered in the customer’s name for at least six months. 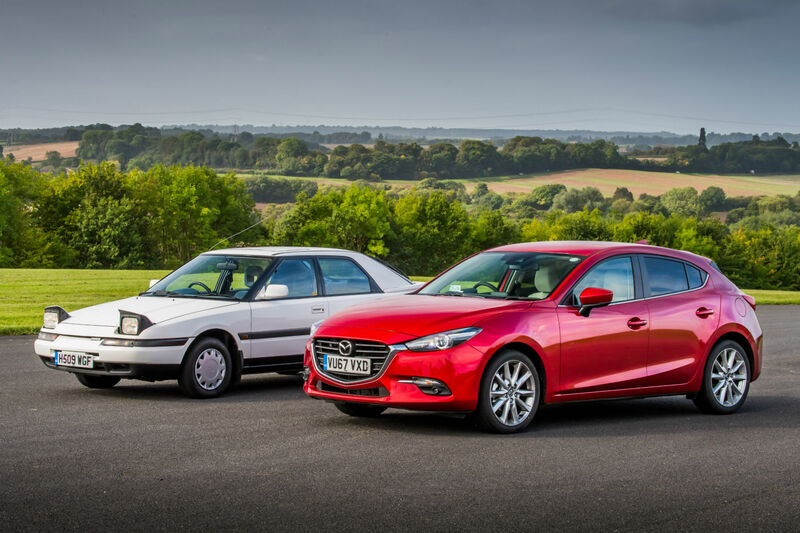 The biggest saving is on the Leon, which qualifies for £3,500 off, while the Toledo gets a £3,000 discount and new Ibiza £2,500. The Mii city car gets £1,500 slashed off its price. Like other VW Group brands, Seat has confirmed that all cars traded in through the scheme will face the crusher. Like other VW Group brands: scrap your 1-4 diesel and save money on a new Skoda. The firm is offering the biggest saving of £4,000 off a Superb, while the Octavia and Yeti qualify for a £3,500 discount. The Rapid gets £3,000 off; the Fabia £2,500 and Citigo £1,500. Interestingly, there’s no saving available on the new Kodiaq. All vehicles traded in will be scrapped, Skoda confirms, and they must have been in the customer’s name for at least six months. Suzuki’s great value range is now available with up to £2,000 off when you trade in your pre-Euro 5 car. The Japanese car maker will give you £1,000 off a Celerio, Ignis or Jimny, while the Baleno, S-Cross, Swift and Vitara qualify for a £2,000 discount. You must have owned your trade-in for at least 90 days, and Suzuki has confirmed that all cars part-exchanged as part of the scheme will be scrapped. Toyota’s scrappage-style deal offers a discount of up to £4,000 available when you trade in an eligible car. The scheme runs from 1 September to 31 December and is open to any vehicle over seven years old, as long as the V5 has been in the customer’s name for at least six months. There are no restrictions on what you can buy, but the money you’ll save will depend on which Toyota model you choose. The Land Cruiser offers the biggest saving, with £4,000 off when you scrap your old car, while the new C-HR offers the smallest discount: just £1,000. The Aygo city car offers £2,000 off, while Yaris customers (including hybrids) will enjoy a discount of £2,500. The Verso, RAV4, Auris and Avensis all get £3,500 off. Toyota says all cars traded in through the scheme will be scrapped. “Everyone who takes up our scrappage scheme can be assured their vehicle will be disposed of in an environmentally responsible fashion that maximises recycling opportunities,” said Toyota GB managing director, Paul Van der Burgh. If you wanted to point the finger at one manufacturer for causing the current anti-diesel agenda, it would be Volkswagen. The company behind the dieselgate emissions saga has finally launched its own variation of the scrappage scheme, with the focus on ridding the roads of dirty diesels. It’s open to all pre-Euro 5 diesels registered before 2010. While offers are available across VW’s range, the firm is pushing its plug-in vehicles. 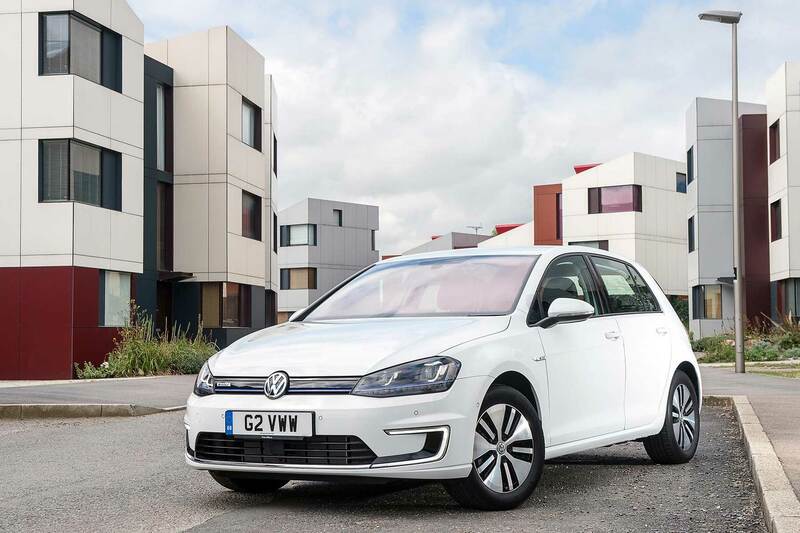 The Passat GTE is available with £6,000 off, while the e-Golf gets a £5,500 discount. These are plus government incentives, meaning you’ll get a total of £10,000 off an electric e-Golf. There are big savings to be had on non-electric Volkswagens, too: the Sharan people carrier gets a £6,000 discount, while the new Arteon qualifies for £5,000 off. 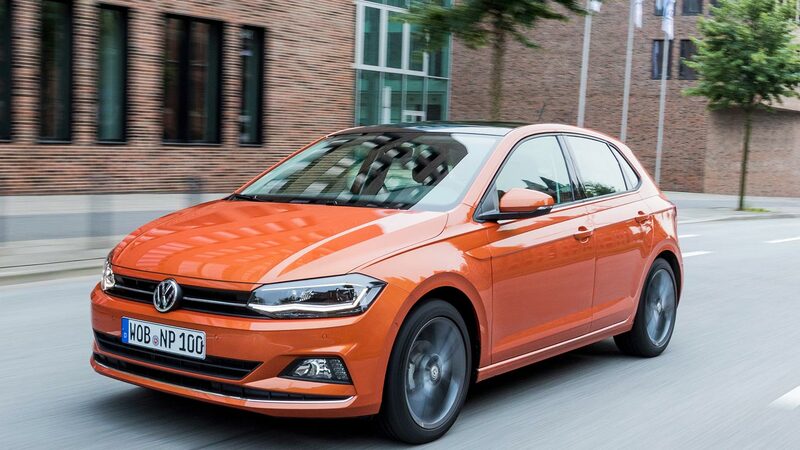 Volkswagen has recently announced its new Polo is also subject to a £2,000 saving as part of scrappage. 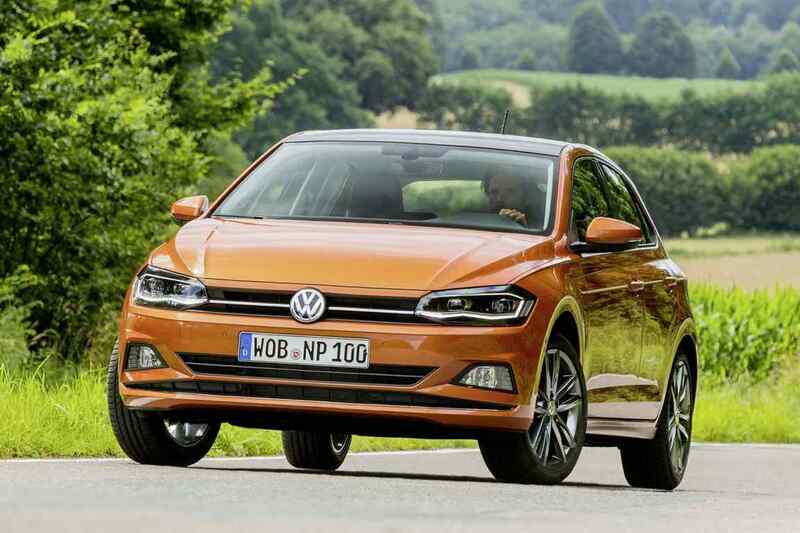 Free insurance offer on new Volkswagen Polo Thanksgiving road trip? Be prepared!